The EUR 1.2 billion sale of French ‘Scorpène’ submarines to Malaysia in 2002, and the dubious commissions which accompanied the sale, might have gone unnoticed were it not for the kidnap and murder of a young translator in 2006. The victim, who had worked for a key agent on the deal, was targeted when she attempted to get her share of the commissions. The subsequent murder trial implicated members of the domestic police’s special intelligence branch, who may have served the defense minister and future prime minister Najib Razak as bodyguards. With investigations in Malaysia stymied by the political implications, momentum shifted to France. DCNS, the French shipbuilding company, was raided in 2010, and it eventually became clear that the company was under scrutiny for operating a chain of intermediaries to bribe Razak and the agent, Abdul Razak Baginda, in violation of the Organization for Economic Cooperation and Development (OECD) Convention on Bribery and its corresponding law in France. Najib Razak — Malaysia’s defence minister (1999-2008) when the deal was signed, later prime minister (2009-2018). Abdul Razak Baginda escorted into a courtroom by police in Shah Alam, Malaysia, on October 31, 2008. Getty Images/AFP, Saeed Khan. Abdul Razak Baginda — former director of the Malaysian Strategic Research Center; suspected Malaysian agent for DCNS and controller of companies used to funnel commissions. 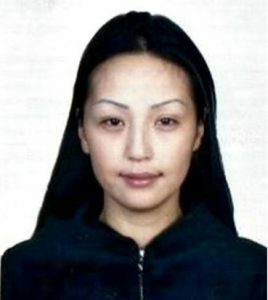 Altantuya Shaaribuu — Mongolian translator, formerly in a relationship with Baginda; assisted with the deal and was murdered in 2006. Azilah Hadridan and Sirul Azhar Omar — Malaysian police Special Action Unit officers, bodyguards to Najib Razak; convicted in 2008 of the murder of Altantuya Shaaribuu. An appeals court overturned the verdict and freed them in 2014, whereupon Sirul Azhar Omar fled to Australia. The appeals court’s judgment was itself overturned in 2015 by the Federal Court, leading to reinstatement of the death penalty against both. Bernard Baiocco — former president of the Asian division of Thales (which owned a 50% share of prime contractor Armaris and now an indirect share through a stake in DCNS); suspected by French magistrates of paying bribes in relation to the deal. Dominique Castellan — former president of the international branch of DCNS; suspected by French magistrates of paying bribes in relation to the deal. 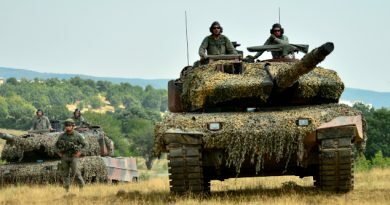 Beginning in the 1990s, Malaysia opened tenders for a number of major military acquisition programs, including tanks, jets, and naval systems. In 2002, Malaysia agreed to purchase for EUR 1 billion two Scorpène submarines from Direction des Constructions Navales (DCN, now renamed Naval Group) of France and Navantia of Spain. Armaris, a joint-venture between DCN and Thales, would be the prime contractor for this sale while Navantia would serve as a design and industrial contracting partner. In 2007, Thales swapped its direct investment in the Armaris joint venture for a stake in DCN itself; since 2011, the French shipbuilder has been 35% owned by Thales. One of the Malaysian Scorpène submarines was produced in France, the other in Spain. A second-hand Agosta submarine was also included in the deal. The Scorpène-class “Tun Razak,” destined for the Malaysian Navy, at the shipyard of Navantia-Cartagena, Spain, in October 2009. Wikimedia/Creative Commons, Outisnn. Corruption allegations center on the role of a key agent for the deal, businessman Abdul Razak Baginda, a close associate of Malaysia’s defence minister at the time, Najib Razak. Razak is now Malaysia’s prime minister. The biggest suspicious payment was of EUR 114 million to Perimekar, a Malaysian company of which Baginda’s wife was the primary shareholder. The payment was for “support and coordination services” in relation to the deal, but the company was only set up in 2001, a few months before the deal was signed, and had no relevant experience or expertise in managing this type of project. Further payments of EUR 30 million were subsequently made to Baginda. A further payment of EUR 2.5 million was subsequently made to an unnamed recipient. These commission payments were allegedly used to bribe Razak and other Malaysian officials. Mongolian translator Altantuya Shaaribuu, in a photograph handed out by Malaysian authorities. Allegations of corruption relating to the deal emerged following the 2006 murder of 28-year old Mongolian interpreter Altantuya Shaaribuu by two officers of the Malaysian Special Branch, Azilah Hadridan and Sirul Azhar Omar, also previously bodyguards to Najib Razak. Shaaribuu had been Baginda’s girlfriend, having met him in 2004, and had assisted in translating documents relating to details of the contract. A private detective hired to investigate her alleged that she had previously been the mistress of Najib Razak, but subsequently withdrew this claim. When Shaaribuu heard that EUR 114 million had been paid to Perimekar, a company controlled by Baginda, she travelled to Kuala Lumpur to pressure Baginda into paying her USD 500,000 which she claimed was owed for her work in relation to the deal. She repeatedly appeared outside his house harassing him, possibly in an attempt to blackmail him. A trial later found that on October 19, 2006, she was kidnapped and shot dead by the two Special Branch Officers, Azilah Hadridan and Sirul Azhar Omar, who subsequently destroyed her body with military-grade C-4 explosives that could only have been obtained with the defense ministry’s permission. The two executioners were caught because her taxi driver, annoyed at not being paid, had noted down the registration number of the kidnappers’ car. The officers were convicted of her murder in 2008 and sentenced to death. The verdict was subsequently overturned on appeal in 2014, then reinstated by a higher court in early 2015. Azilah remains imprisoned in Malaysia, while Sirul Azhar fled to Australia, which will not hand him over without guarantees against eventual execution. Baginda was charged with abetting the murder, but acquitted. The case, however, led to investigations into potential bribery in relation to the Scorpène deal. The French newspaper Libération published detailed allegations in 2009 of illegal commissions and of Baginda’s involvement in the murder. The article revealed details of documents that the Malaysian court had refused to admit as evidence, supporting some of the claims. Prime Minister Najib Razak of Malaysia speaking at the World Economic Forum in Davos, Switzerland, on Jan. 25, 2013. Flickr/Creative Commons, World Economic Forum/Michael Wuertenberg. The Malaysian civil society group Suara Rakyat Malaysia (SUARAM) pursued investigations, and launched a complaint with the French courts in 2010 regarding bribery of Malaysian officials. A raid on DCNS’ offices in 2010 led to the seizure of numerous documents, 133 of which were subsequently obtained and uploaded to the internet by the Asian Sentinel newspaper in 2012. The documents supported claims of illegal payments, established a possible link between the murder of Shaaribuu and the commissions, and outlined the use of a network of intermediary companies (including Perimekar) to circumvent the OECD Convention on bribery, which France had signed in 2000. The documents also claimed that DCNS was aware that the final benefactor of the commissions was to be the Malaysian ruling party, the United Malays National Organisation. In March 2012, French authorities appointed a pair of examining magistrates to investigate the case. In 2016, Razak and Baginda were named by the magistrates as likely bribe recipients and the focus of the investigation. Baginda was placed under formal investigation in August 2017. Former Thales International Asia head Bernard Baiocco and former president of DCNS International Dominique Castellan are also under formal investigation for paying out the bribes. The Malaysian government denies that there was any corruption associated with the deal. Baginda admits receiving the EUR 30 million, but maintains they were for his lobbying services and that no monies were paid to government officials. Update (November 19, 2018): In November 2018, Malaysian online newspaper The Star reported that investigators had re-opened the corruption case against Najib Razak, six months after he was removed from office in an upset election. Najib was reported to have visited the Malaysian Anti-Corruption Commission headquarters at the request of investigators. Image Caption: Royal Malaysian Navy naval station at Sepangar Bay, Sabah. Image Source: Wikimedia/Creative Commons, CEphoto, Uwe Aranas. “Scorpène’s sting: Malaysia’s bribery and murder scandal,” Defence Industry Daily, March 20, 2013, http://www.defenseindustrydaily.com/scorpenes-sting-liberation-publishes-expose-re-malaysias-bribery-murder-scandal-05347/. John Berthelsen, “Deep and Dirty: Malaysia’s Submarine Scandal,” Malaysia Sentinel (online), June 25, 2012, http://www.asiasentinel.com/politics/deep-and-dirty-malaysias-submarine-scandal/. Arnaud Dubus, “Un cadavre très dérangeant,” Liberation (online), Mar. 5, 2009, http://www.liberation.fr/planete/2009/03/05/un-cadavre-tres-derangeant_463577. “SUARAM starts legal fund to probe submarine commissions in French courts,” SUARAM (website), May 30, 2011, http://www.suaram.net/?p=918. “French courts opens inquiry into Scorpène submarine scandal,” SUARAM (website), Mar. 18, 2012, http://www.suaram.net/?p=2569. Michael Stothard and Michael Peel, “France opens probe into ‘bribery’ of Malaysia’s Najib Razak,” Financial Times (online), Feb. 4, 2016, https://www.ft.com/content/fab19252-ca85-11e5-be0b-b7ece4e953a0. You might want to refer to my 2017 ebook ‘Murdered In Malaysia:The Altantuya Story’ which is the A-Z of the entire sordid affair, including details of the Scorpene submarines contract with DCNS France and numerous deaths associated with DCNS and Scorpene subs deals. Refer https://store.bookbaby.com/book/Murdered-in-Malaysia-The-Altantuya-Story. I am also on Facebook. Please feel free to contact me if you want a complimentary copy of the ebook. 2. I have read your excellent piece on the above subject and had informed my friends of the possibility of extending gratis our joint-collaboration to further the cause of the World Peace Foundation & Tufts University in surgically exposing corrupt practices and practitioners in relation to this matter. 5. Thus, we wish to jointly-collaborate with World Peace Foundation & Tufts University in surgically exposing corrupt practices and practitioners in relation to this matter and provide the latest developments pertaining to the subject-matter. 6. Kindly give our proposition for joint-collaboration the utmost consideration and we hope to hear from your goodself soonest possible. Now that Malaysia is being run by a whole new government that has so far shown a willingness to tackle corruption, let’s hope that an in-depth investigation into this Scorpene scandal is started immediately and #JusticeforAltantuya can be achieved. Thank you so much for sharing this fantastic post! This is an interesting post.